Ten sly piranhas are swimming in a river, but one at a time they disappear, until there is only one left. Now that this proud overeater is the only surviving piranha, he is confident that he can eat anybody. But while he may be the cleverest fish in the river, he is no match for the giant crocodile lurking on the bank. 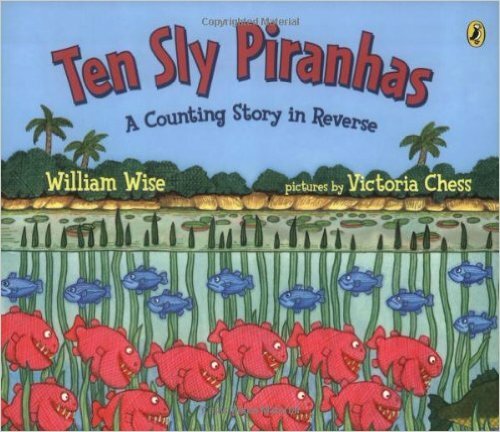 Children will love learning to count backward in this crafty tale about one very hungry piranha.